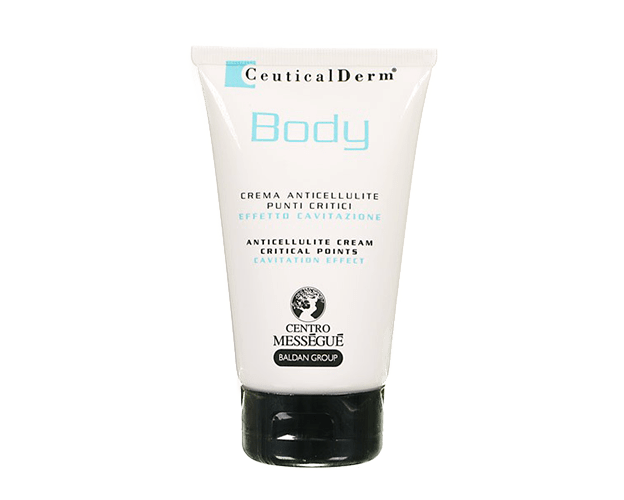 Centro Mességué Ceuticalderm cosmetics combat cellulite, fat dimples, sagging skin and stretch marks, reducing their reappearance thanks to the special maintenance program. They attack fat deposits, restore tissues’ elasticity, facilitate excess fluid drainage and prevent the imperfection reappearing. Ceuticalderm products contain glaucine and nigari salt carried in liposomes that enable them to transform fat into muscle tone through cellular reversion. The products reduce orange peel skin and simultaneously help tissue to recover its toned appearance for a visible change in the treated area. 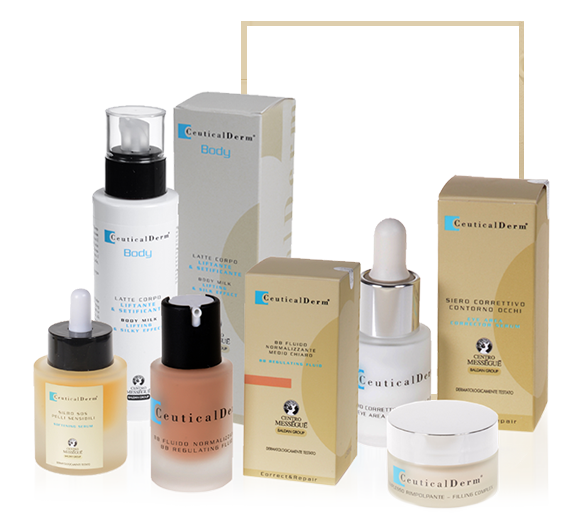 All Ceuticalderm Body products are pareben-free and do not contain mineral oils. They are nickel-tested, dermatologically tested and not tested on animals.